A beauty of a photo Misty and I love the bokeh? Makes it even more magical. Beautiful capture and quote, Misty! Wow - frameworthy shot. Stunning work. 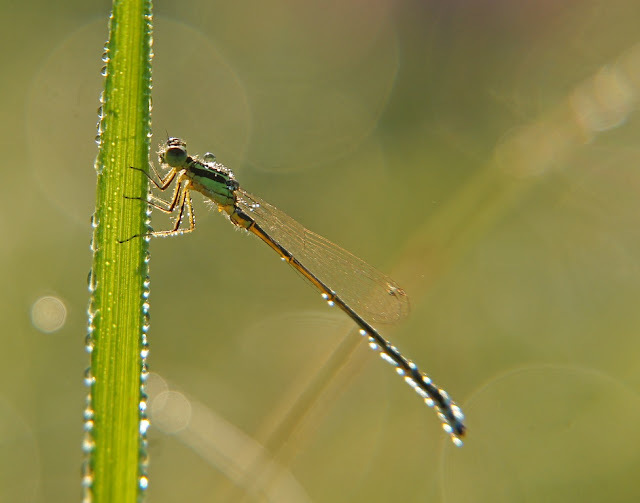 I love the way the sun is shining through the damselfly's body. Nice shot. I shared a couple of dragonflies this week. If you can tell me the difference between a damselfly and a dragonfly I'd really appreciate it.!!!! And a beautiful damsel she is. one of your best shots!! This is wonderful. I love all the dew drops.